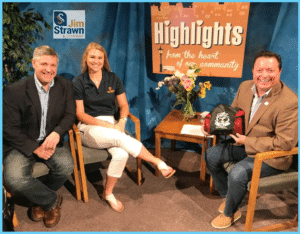 The show airing June 25, 2018 – July 2, 2018 ‘highlights’ the Switz’s Skills Challenge Football Camp and the West Virginia Golf Association. We interviewed Michael Switzer and Kendra Wallace, Director of Sports & Training with WV Special Olympics. Michael, father of Oakland Raider, Ryan Switzer talked about Ryan’s upcoming football camp to benefit the WV Special Olypics. 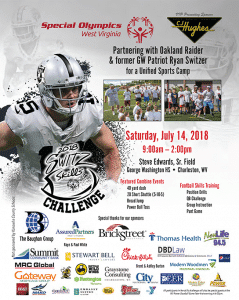 The Switz Skills Challenge, a one-day football combine-style camp hosted by Switzer, will be held July 14, 2018 at Steve Edwards Sr. Stadium at George Washington High School. It will be a “unified sports” event held in partnership with Special Olympics of West Virginia, with children both with and without special needs participating together. Michael added that his son has long been an advocate for special-needs children. At John Adams Middle School, Switzer cultivated a close friendship Clifton Reid III, a student with Down syndrome and on the autism spectrum, and has taken time for fans with special needs throughout his career. Kendra talked about the excitment their athletes have about participating in this camp. The mission of Special Olympics is to train people with intellectual disabilities. And believe they can, with proper instruction and encouragement, enjoy, learn and benefit from participation in individual and team sports. Consistent training under the guidance of qualified coaches, with emphasis on physical conditioning, is essential to the development of sports skills. The camp is for ages 6-13. Click here to register. We also interviewed Brad Ullman, Executive Director of the WV Golf Association. He talked about their mission and purpose. They preserve and advance throughout West Virginia, the best interests and true spirit of the game of golf as embodied in its ancient and honorable traditions and lend its cooperation and assistance to the United States Golf Association. They are dedicated to promoting and preserving the game of golf in West Virginia. The Association was founded in 1913 as the West Virginia District Golf Association. Our membership consists of 85 Member Clubs and over 11,000 individual golfers throughout the state of West Virginia. 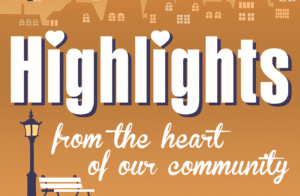 We serve as a central source of information for our Member Clubs. In addition to our various services, we generally represent the United States Golf Association (USGA) primarily through administering the USGA Handicap System, the USGA Course/Slope Rating System, conducting qualifying rounds, and handling amateur status matters. In addition to those core functions, we also administer The First Tee of West Virginia and one day events for Men, Women, Juniors and Seniors. It is also our privilege to protect the rich history of golf in West Virginia through the West Virginia Golf Hall of Fame. Brad also talked about their popular First Tee Program. The First Tee is an international youth development organization introducing the game of golf and its inherent values to young people. Through after school and in school programs, we help shape the lives of young people from all walks of life by reinforcing values like integrity, respect and perseverance through the game of golf. And it’s making a difference. We also talked about the Military Tribute Greenbrier Classic coming to WV in White Sulphur Springs in early July. The WVGA has a big hand in operations at this PGA tour event. Learn more about the Greenbrier Classic by clicking here.